If you need fill for your project, you may be wondering which kind of fill is ideal to suit your needs. The three types of fill most consider are fill dirt, fill sand and gravel. Each is made up of a unique composition that makes each type of fill better for certain projects. For example, fill dirt can be easily compacted so that it can be used to create a strong foundation. 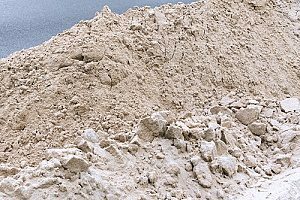 Fill sand can also be compacted, but the particles are so small that this material cannot be relied on to stay sturdy and stable like fill dirt. However, because fill sand is composed of smaller particles, it makes this particular type of fill much better for situations that involve drainage. When trying to figure out which type of fill to choose, consider what you need the fill to do. Do you need it to help drainage? Level terrain? Or maybe you’re looking for something that could be ideal to create a pathway. Understanding how each type of fill works and what it is most commonly used for will help you make your decision. 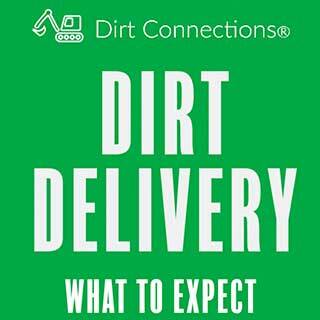 Fill dirt gets its name became it is usually used to fill in a depression or hole in the ground and to create mounds. Basically, it is used to somehow artificially change the grade or elevation of land, this is known as land grading. Fill dirt is subsoil, meaning that is taken from beneath topsoil. It’s taken from below this layer so that it does not contain any organic matter or biological activity. It may contain things like sand, rocks, stones, and earth. 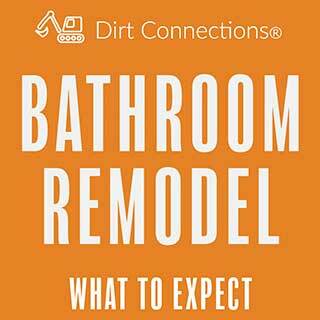 The reason fill dirt is so handy for construction projects is because it lacks organic matter. Organic matter will decompose over time which will create pockets of empty space within the fill, resulting in shifting or settling. This is why it’s important to make sure you are getting clean fill dirt that has been properly screened for organic matter. Fill dirt can be used for many purposes, but it is predominately used in construction projects. This is because the tightly compacted composition of fill dirt allows it to become a stable and sturdy base. 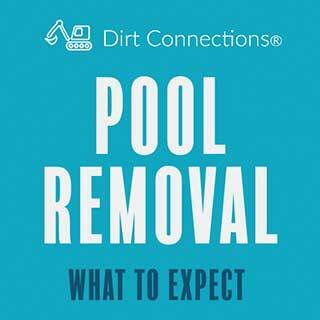 Fill dirt can be used for foundational purposes such as driveways, houses, above ground pools, and highways. Fill dirt can be very useful in low-lying construction sites to help prevent flooding by raising the building’s foundation. It can also be used to change the appearance of terrain by creating hills or filling dips and holes to create your desired foundation. Some people also use fill dirt as backfill, to secure septic tanks, to fill inground pools, and as foundational material for landscaping projects like building a waterfall or deck. Fill sand is another common material that is used in construction projects. It is comprised of the finest particles or rocks that have been broken down and eroded over time. Fill sand has a very high compaction rating, but it is prone to shifting and displacement. Many people choose fill sand because it is attractive and affordable. It’s very useful for in wet areas that need help dealing with drainage problems. Fill sand is recommended if your project requires a backfill material. Often times, fill sand is used as a base for concrete and as backfill around septic tanks. It’s very important that you don’t choose to use fill sand when your project really requires fill dirt. While these two materials can sometimes overlap in their uses (like backfill for a septic tank), ultimately they are very different and could cause serious damage to the end result of your project if you select the wrong one. For example, don’t use fill sand around the foundation of your home because it can draw moisture to the foundation and cause water problems with your home. Instead, you need to use fill dirt. It’s most likely that for your project is going to require fill dirt. This is because fill dirt has higher quality, more versatility, and is more dependable than other types of fill. Gravel is made up of a variety of rock fragments that come in many different sizes. Most people associate gravel with small, powdery rock particles, but gravel can range from granule size to boulder size. This material is formed over time due to erosion and weathering. It is most often used to make roads, paths, and can even be very useful in gardens. Gravel has many uses for a residential landscaping or construction project. It’s budget-friendly, comes in many shades, different sizes, and is a versatile paving material. Gravel can act as an effective mulch for plants. First, it helps prevents evaporation from the soil surface. Second, gravel has enough weight that it is not prone to moving as a result of the wind. It can be also a very useful material when it comes to drainage and erosion control as it can easily allow water to pass through without risk of the water displacing the gravel. If you’re worried about soil erosion, mixing in some gravel with the soil will help reduce your erosion problem. You could place some around your house drain pipes or at the bottom of hills on your property to improve water drainage. If you don’t have a gutter, you can use a crushed stone drip edge to keep stormwater run-off from your roof from splashing dirt onto your siding. Gravel can be functional and decorative. You can use it to create a patio base, walkway, or driveway. 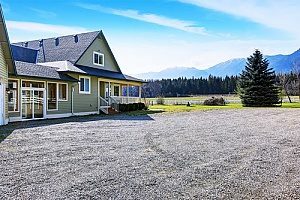 However, in terms of construction projects, gravel is usually more of a finishing material than the one you’re going to want to use as fill. Instead, you should elect to start your project with fill dirt so that you can create a strong and sturdy foundation, and then finish off the end of your project by creating beautiful pathways and managing rainwater run-off with gravel. 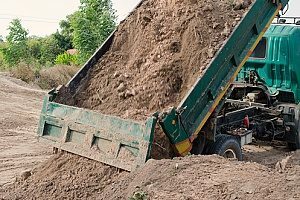 For help determining whether your project is best suited for either fill dirt, fill sand, gravel, or a combination of these materials, reach out to a Maryland fill dirt contractor for more information and to schedule a free topsoil or Maryland fill dirt delivery.